Staff at Knaresborough’s Vital Technology Group are celebrating after it won the small business prize for the Yorkshire and the Humber Region in the National Apprenticeship Awards 2014. The company won the prize during a ceremony organised by the National Apprenticeship Service, at the Carriageworks Theatre, in Leeds. Vital now goes forward to the UK awards at the National Exhibition Centre (NEC) in Birmingham, on 13 November. The awards are now in their 11th year and celebrate the achievements of the country’s most outstanding apprentices and apprenticeship employers. Vital Technology Group is an independent IT solutions provider and digital consultancy, and its apprenticeship programme is now in its fifth year. 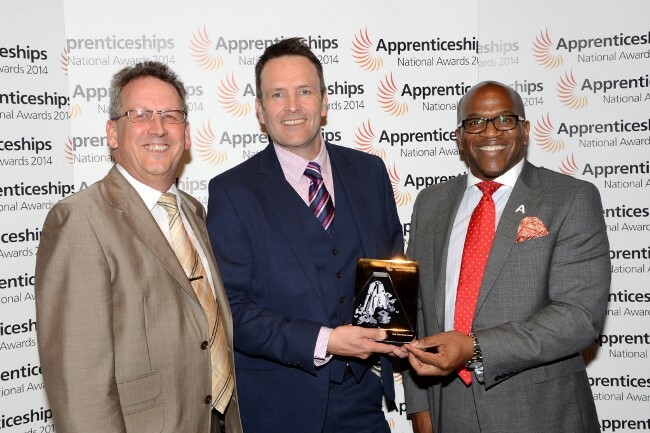 Managing director Lee Evans said: “We are all thrilled to win the regional award, which is a great seal of approval for our apprenticeship scheme. The National Apprenticeship Awards are sponsored by BAE Systems, BT, City & Guilds, learndirect , Nuclear Decommissioning Site Licence Companies and Unilever.